Our product range includes a wide range of viva fitness commercial multi gym. We are foremost organization actively engaged in offering wide assortment of Viva Fitness Commercial Multi Gym that is simple to use and offer high level of performance. This multi gym is designed from the high-grade raw materials and leading techniques as per the norms of market. Our multi gym is available in varied specifications so as to meet the variegated needs of customers. Customers can avail this multi gym from us at reasonable rates within a committed time frame. Multi exercise function chest extension, leg press, high pull, low pull, rowing, abdomen, kicking etc. We are recognized as the leading trader, supplier & retailer of Viva Fitness Commercial Multi Gym. This multi gym is known for its multiple exercise function like high pull, low pull, chest extension, leg press, rowing, abdomen & kicking. 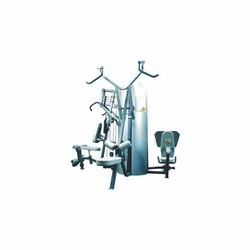 Offered multi gym is extremely rugged in state and is free from moisture and corrosion. 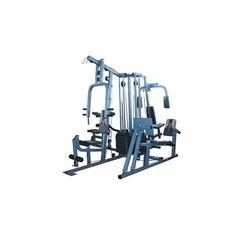 Our valuable customers can avail this multi gym from us at market leading rates in a stipulated time frame. Multiple exercise function chest extension, leg press, high pull, low pull, rowing, abdomen, kicking etc. We are offering an extensive assortment of Viva Fitness Commercial Multi Gym. Our range is safe to use and needs minimum maintenance as well. The offered multi gym is designed in compliance with international quality standards using excellent quality raw materials. This multi gym is perfect for doing multiple exercises conveniently. 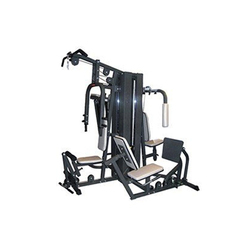 Offered multi gym is known for its exercise function chest extension, low pull, abdomen, leg press, high pull & pushups. Exercise function chest extension, leg press, high pull, low pull, abdomen, pushups etc.